I’ve had an aversion to cooking with chicken thighs since a recipe gone wrong a couple of years ago. 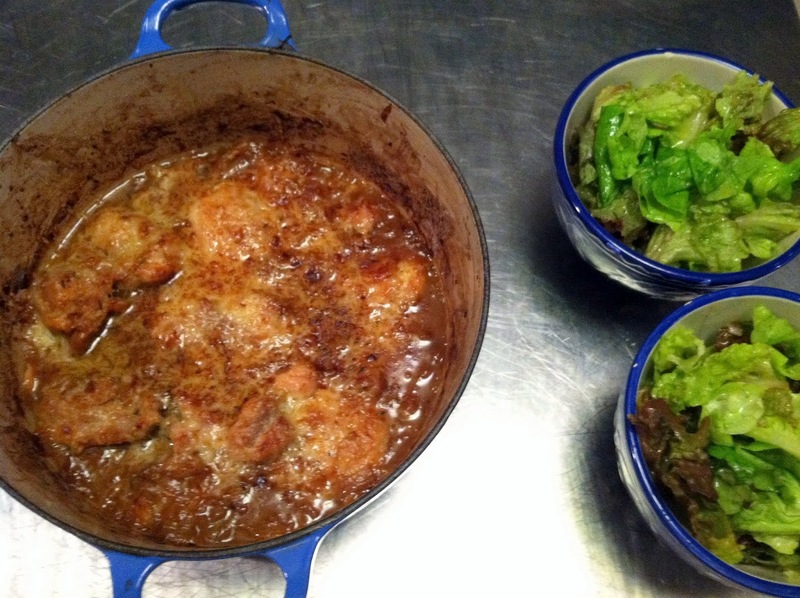 When I read about this recipe, though – chicken thighs spiked with dijon mustard, mixed with deeply caramelized onions and topped with a bubbling gruyere – I figured it was time to put them back into the mix. 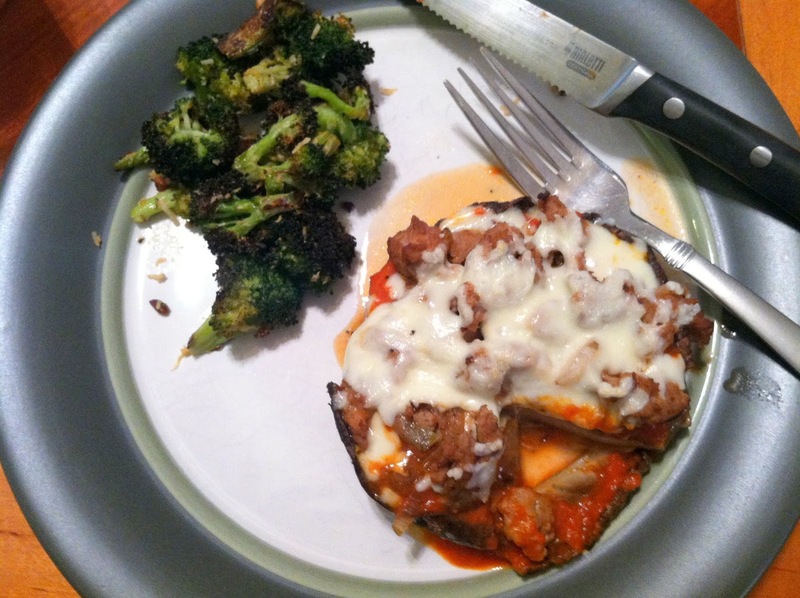 This recipe ended up being one of the tastiest, most deliciously reheated dinners (and lunches) we’ve had in a while. 1. Caramelize your onions. This, if done properly, will take upwards of 45 minutes. 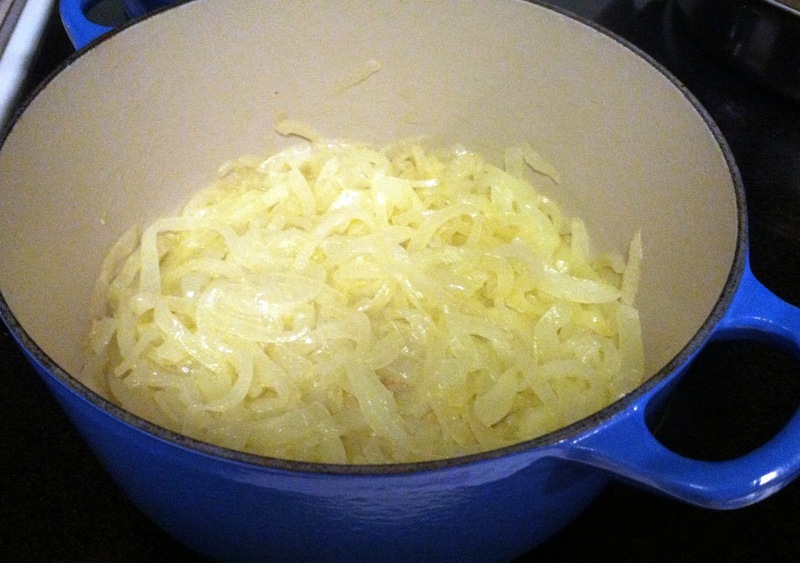 Slate had a cute article about browning your onions a couple of months ago: Why Recipe Writers Lie About How Long It Takes To Caramelize Onions, and you can cut down the time on these if you’re in a hurry, but if you can, try to take the full 45 minutes to caramelize the onions. 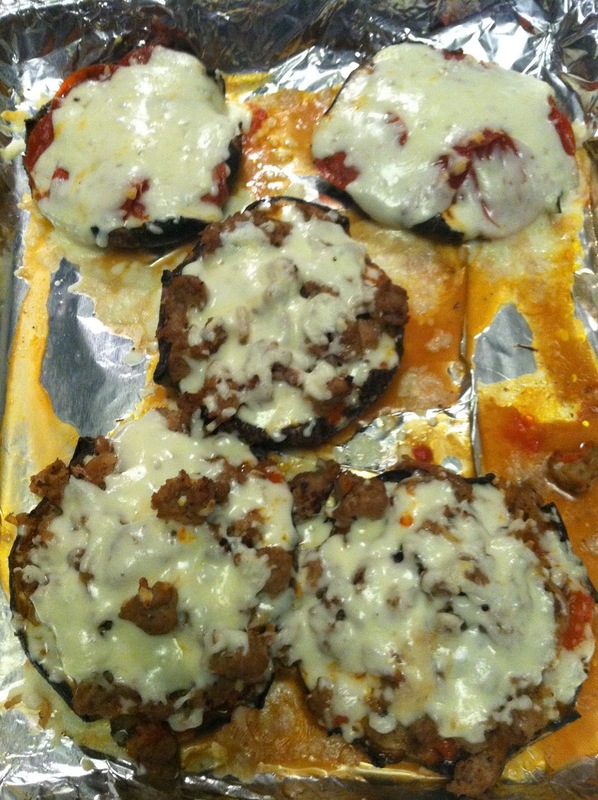 You can even do this a day or 2 ahead, and then reheat them. 2. Melt the butter and olive oil in a dutch oven over medium heat, then add the onions and a sprinkling of salt and pepper. Stir, stirring occasionally, for up to 45 minutes. 3. 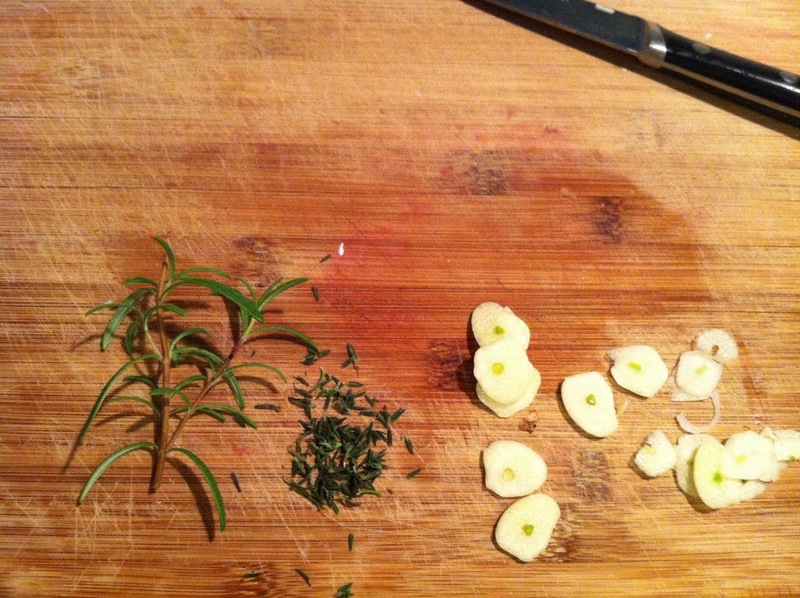 When onions are a rich golden brown color, add the sliced garlic and chopped rosemary, then stir to combine. 4. Add 1 C. beef broth slowly, stirring the pan to scrape up any bits that are stuck to the bottom. Turn heat down to a simmer and let stand for 5 minutes, or until slightly reduced. 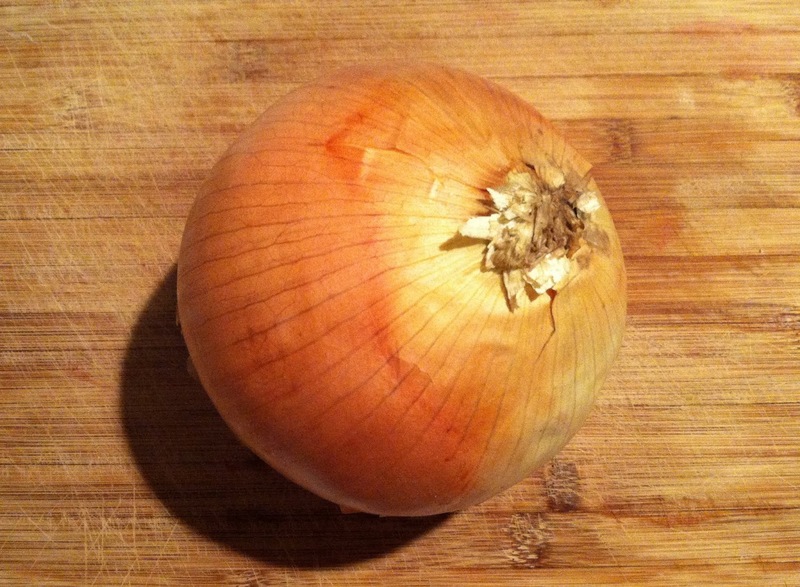 Take onions off the heat and set aside. 5. 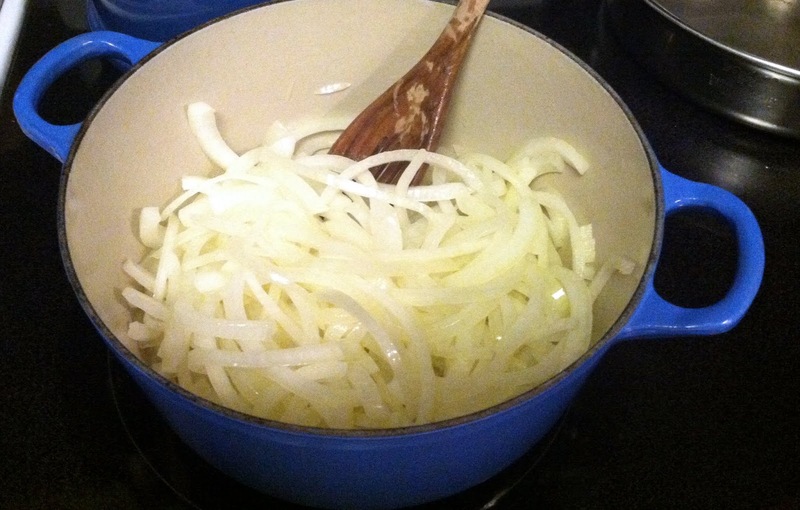 While the onions are caramelizing, heat another pan over medium-high heat. Pat chicken thighs dry and season with kosher salt and pepper. Add chicken to the pan and sear to brown the chicken, approx. 3 minutes on each side. 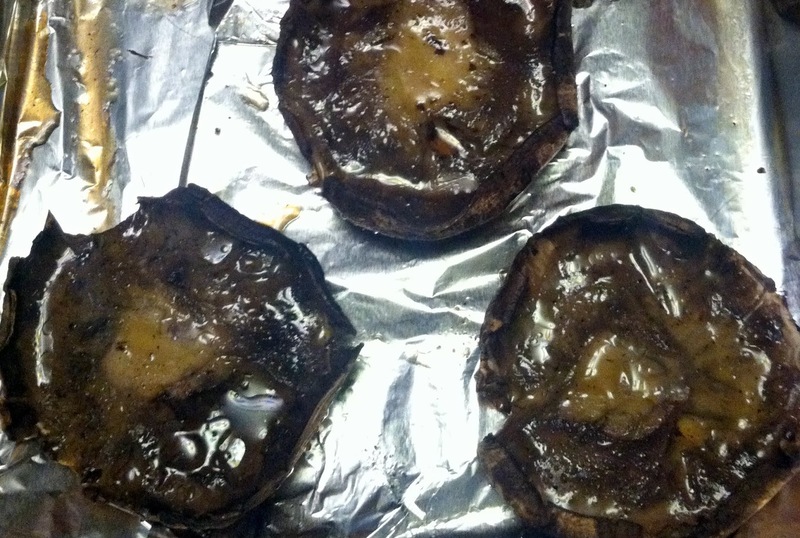 When browned, remove from pan and set aside. 6. 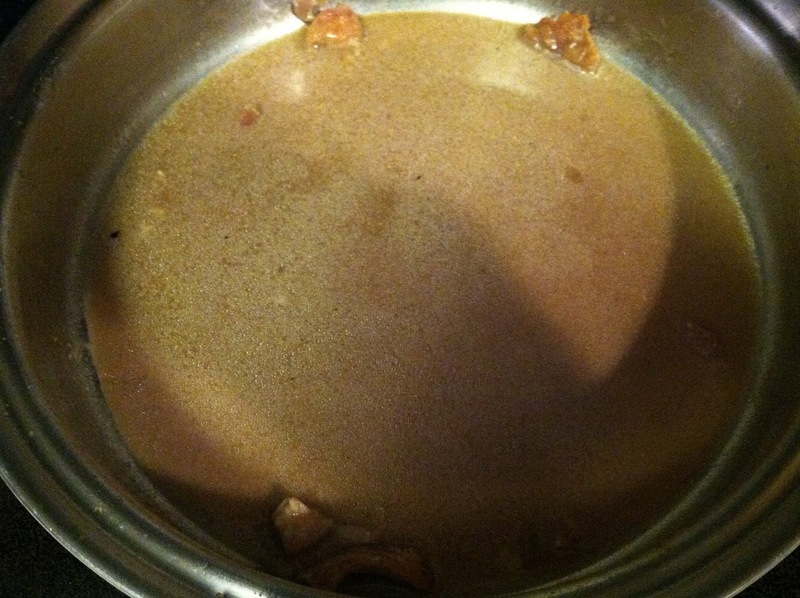 Add the remaining 1/2 C. beef broth the pan that just held the chicken. 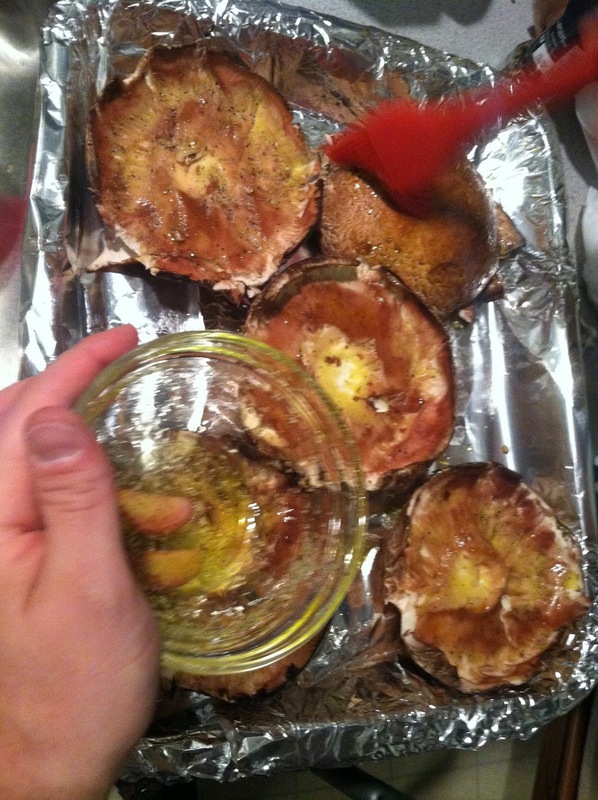 Scrape up any browned bits on the bottom, then whisk in the balsamic vinegar and dijon mustard. Simmer for approx. 5 minutes or until reduced. 6. 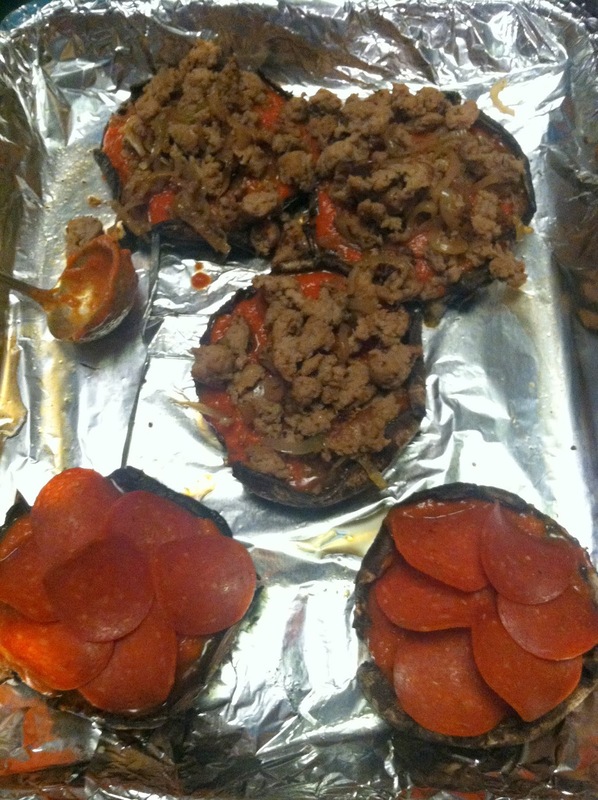 Heat oven to 325. 7. 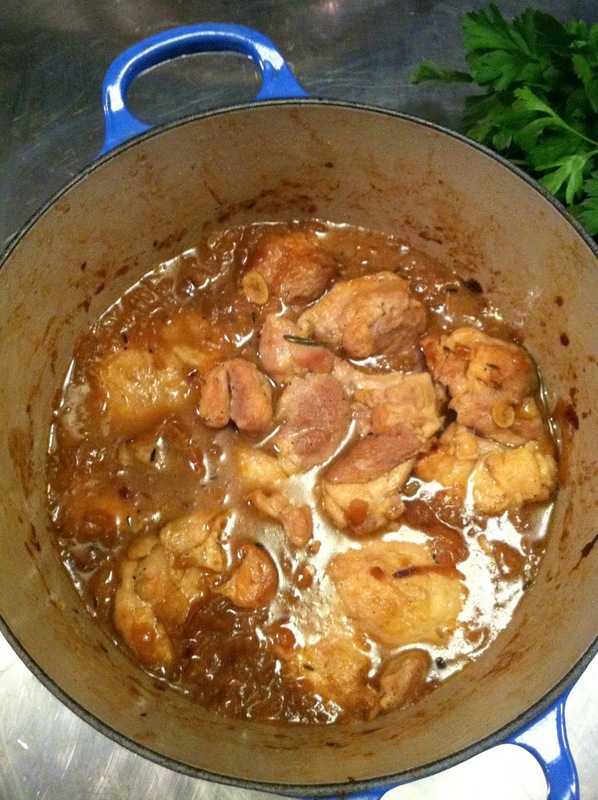 Put the browned chicken thighs over the onions in the dutch oven. Pour the beef broth/vinegar/dijon mixture over this, then place a lid on the dutch oven and bake at 325 for 30 minutes. 8. 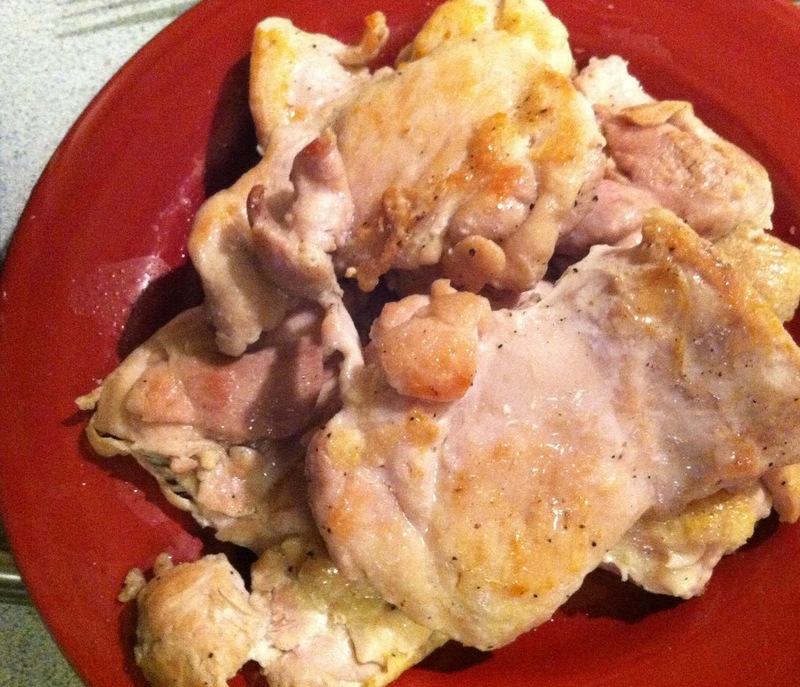 After 30 minutes, remove chicken from the oven, and turn the oven to broil. 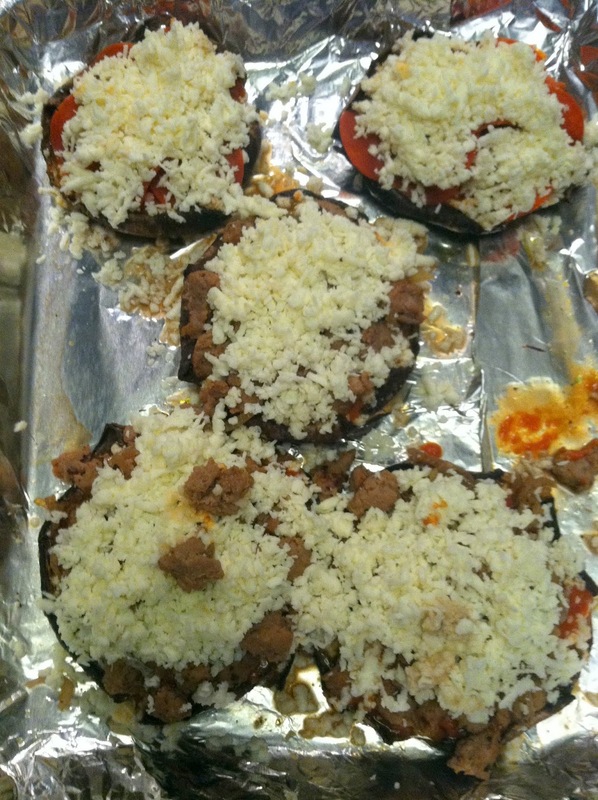 Sprinkle gruyere cheese over the dish, then return to the oven and broil for a few minutes, until the cheese is melted and bubbly. 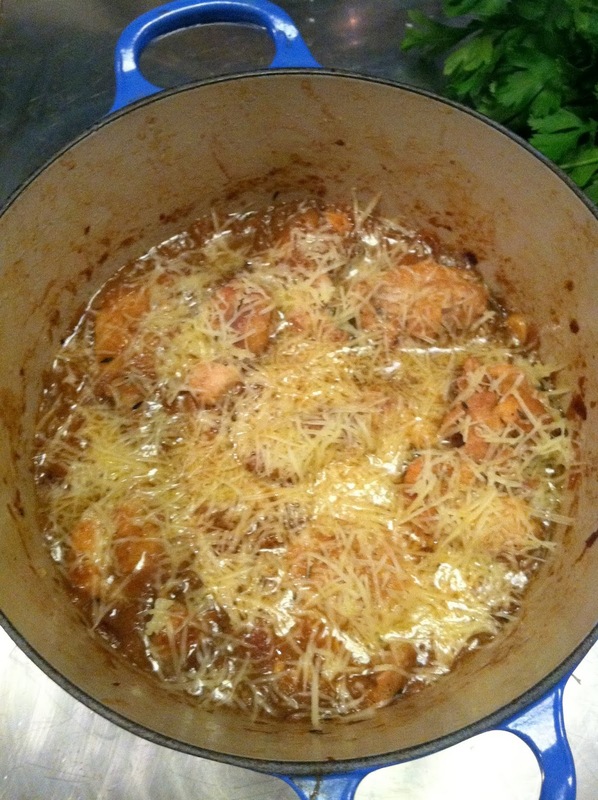 Chicken topped with gruyere, before melting it. 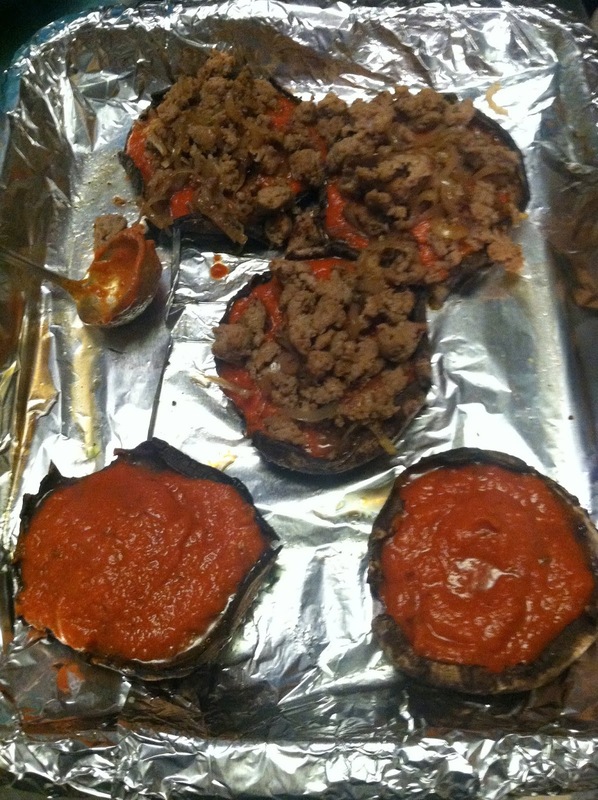 We thought this was fantastic – it was all I could do not to drink the leftover sauce. 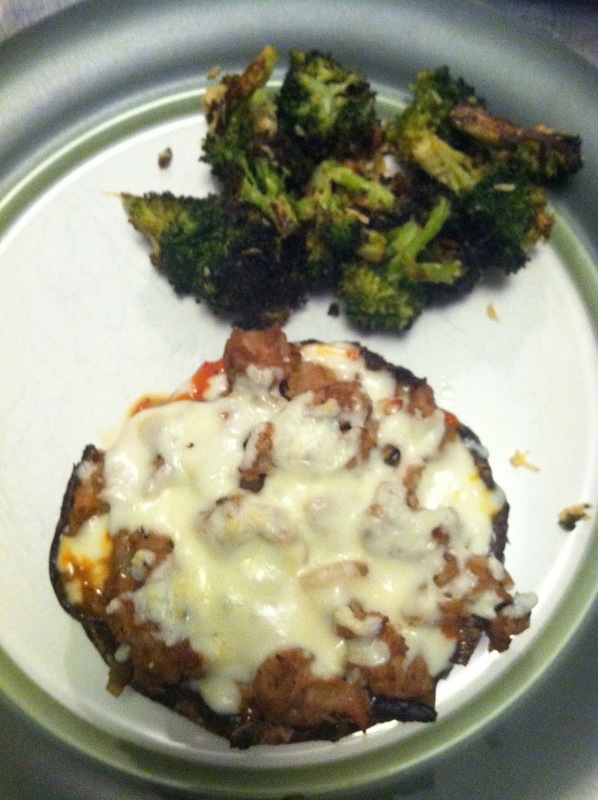 Completely delicious and definitely added to the rotation! I hope you enjoy it as much as we did. 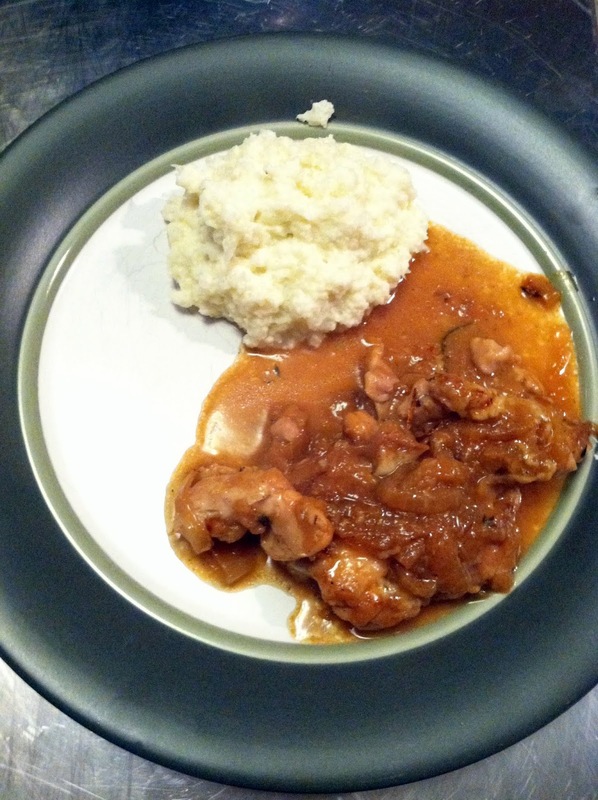 This entry was posted in chicken, dijon, dinner, leftovers on November 16, 2012 by westyn.